If you haven’t heard yet, Style Haul is a brand-new Youtube channel show which features different Youtubers showing off their fashion/beauty hauls. 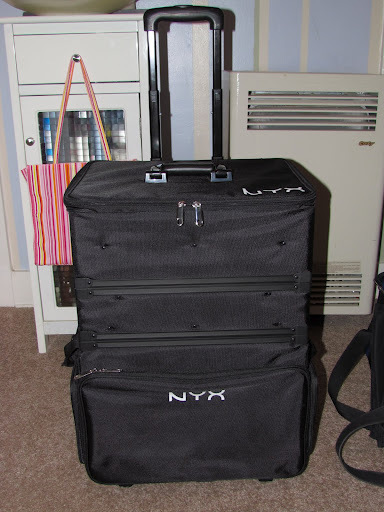 Style Haul was at the IMATS this year. Watch for me at the 3-second mark! Are you ready for my “biggest haul ever”? 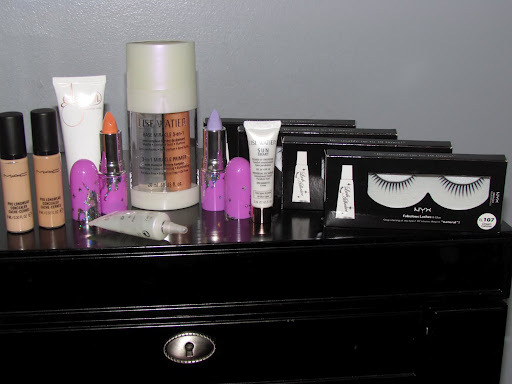 😉 Here’s all the fun stuff I got from the International Makeup Trade Show that came through town this past weekend. I don’t remember which booth I picked up this brush belt one, but it was only $12. 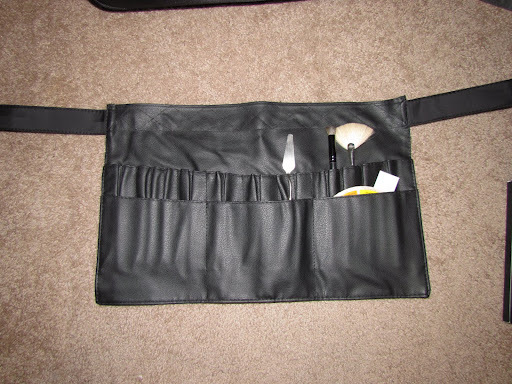 MAC’s is $40, and I had noticed that the pleather material had started wearing away and my brushes were littered with little pleathery pieces. This brush belt is made of a more synthetic, stretchy leather and I’m happy to say it did the job. From L to R: MAC ProLongWear concealers, GLEAM BY MELANIE MILLS shimmer lotion in Rose Gold, CosmoPop and D’Lilac lipsticks from LIME CRIME (in the cute pink bullets), LISE WATIER Apricot Primer (along with samples of the pore minimizer & SPF30), four sets of NYX Lashes. Basically everything here was half off! 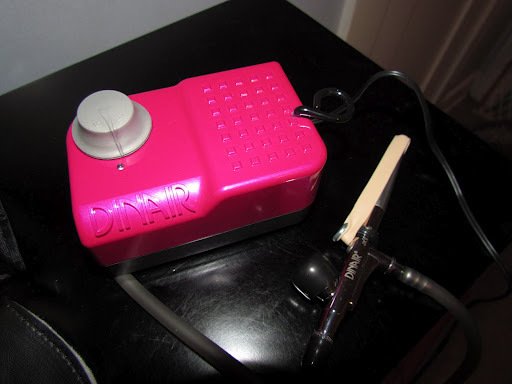 Oh, and how cute is the hot pink compressor?! I forgot to take photos of these cool 24K Gold Collegen face masks that I picked up for my mom from KOLLEGENX. They are originally somewhere in the vicinity of $100 for four masks. I picked up 16 masks for $120. I’ll be doing a review on these soon… stay tuned! ﻿﻿Hello my fellow makeup mavens! 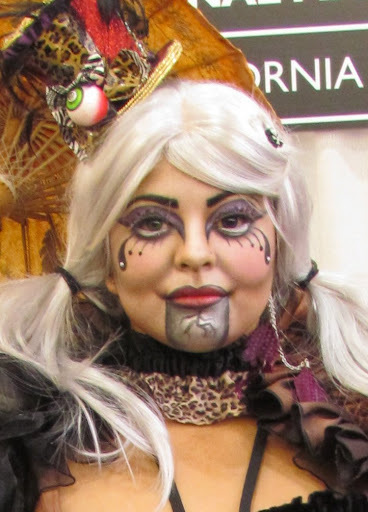 This past Saturday, I attended the International Makeup Trade Show when it made its Los Angeles stop. I. Was. Floored. I didn’t even have time to attend any of the classes because there was so much going on on the actual floor! 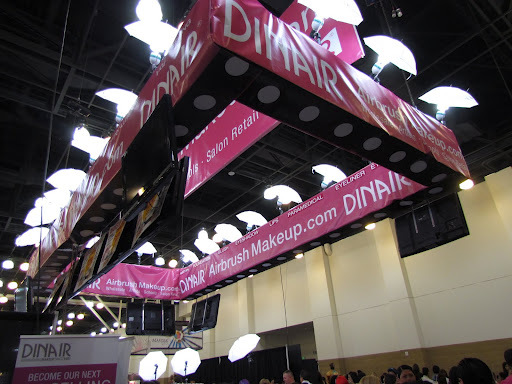 Talk about sensory overload…all the makeup giants had booths: MAC, Makeup For Ever, Naimie’s, Crown Brush, Dinair, Ben Nye, NYX and more. 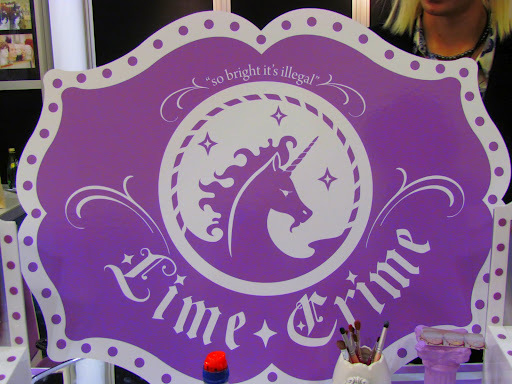 I was also pleased to see some of the new beauty lines that I was interested in like Lime Crime and Kollagen. Everything was priced at around 40-50% off! I was getting steals left and right. I couldn’t even move through the crowds because every person had at least two full-to-the-brim shopping bags in each hand. It was like anything that a female would be interested in– makeup, hair accessories, wigs, nail stuff, sparkles, glitter and skincare– had landed in one room and there was nothing left to do but dump your whole paycheck into the place. DO wear a fun outfit, complete with colorful makeup and crazy nails. DO network with other bloggers, Youtubers, and makeup lovers alike. DO bring a friend for moral support — I brought my PR guru, Jenn with me. She does publicity for beauty brands and fashion. You can reach her HERE. DON’T bring your husband or boyfriend. They will be miserable, and it’s crowded enough without having to fight your way through bummed-out dudes. It’s $40 a ticket anyway, what a waste! DON’T bring your baby, or his/her stroller. Please see above. And may I add that every baby I saw there, no matter how cute, was distressed from being in the crowds and crying. Give your kid a break and leave him/her with a grandparent at home. DON’T bring a jacket, or wear thick, heavy clothes. That place was a sauna! So many people packed into one place. 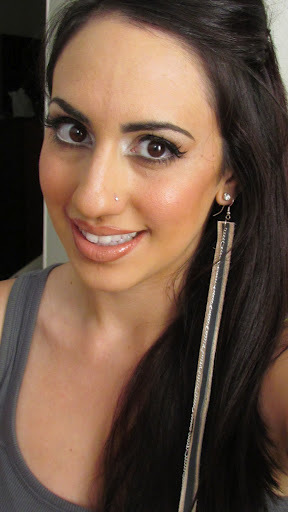 I ran into Iris from Youtube (LOVE her hair tutorials– she does a mean fish braid!) 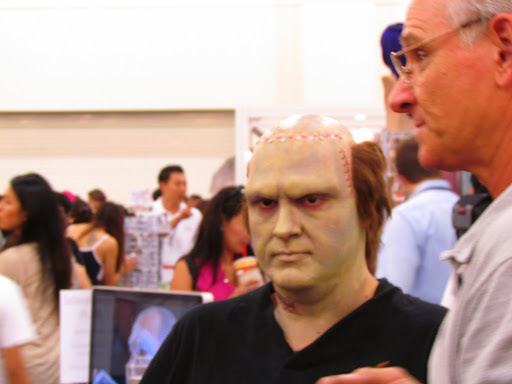 and was honored to be a part of her IMATS review video. Watch for me at the 4 minute mark! 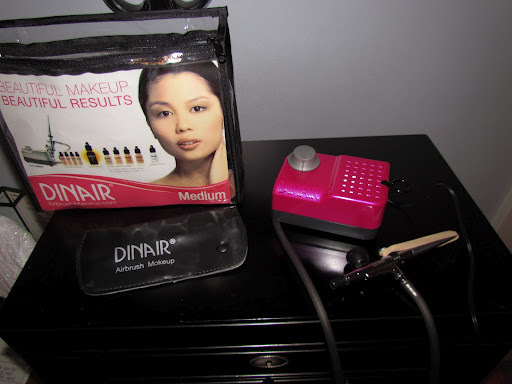 Get your own airbrush machine here! Doing a promo for Style Haul on Youtube! Margarita break at Islands– it was so hot! 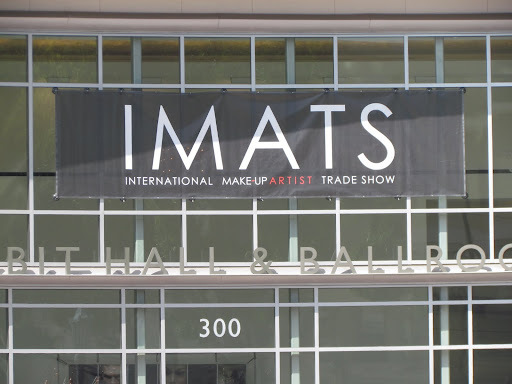 I am sad that IMATS- L.A. is over… i wish there was a makeup trade show every weekend! But then I would be broke… and starving lol. See you all next time! I made earrings! 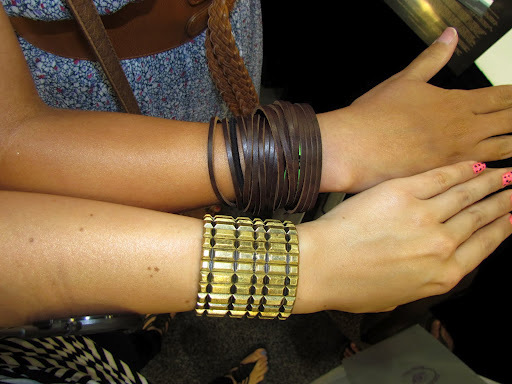 They are made with recycled leather strips and metal chains. I’m thinking about adding feathers to them next time I hit up the crafts store, thoughts? If you want one, just leave me a comment below or tweet me @Ladyc_84. 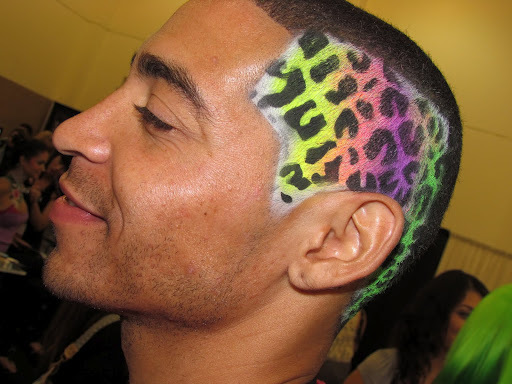 I can make any color combo you want. I’ll only charge the cost of production and supplies: $10/each. You wear one at a time. 🙂 Enjoy! 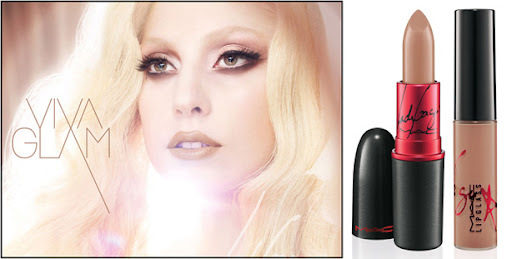 MAC and Lady Gaga came out with a new shade from their Viva Glam line of lipstick and glosses. It’s a light, neutral beige that is universally flattering on almost everyone. Each are $14.50 and 100% of the proceeds goes to people around the world living with AIDS/HIV. The two colors here are named VIVA GLAM GAGA 2. 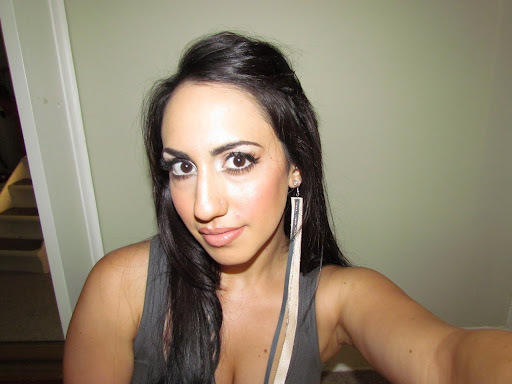 Lashes: #6 Lashes cut in half and used as demis. 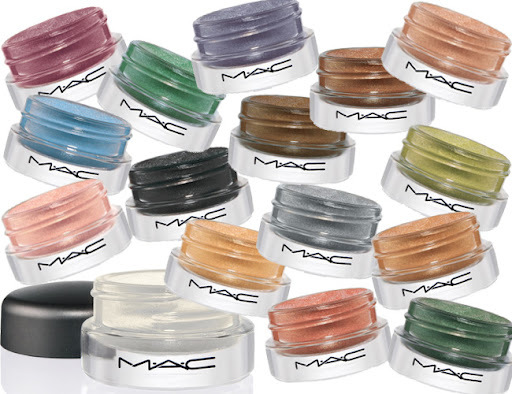 MAC recently came out with a line of Big Bounce gel eyeshadows. I was extremely skeptical of this item, until my fellow artist, Bay Area-based photographer and friend Ashleigh (you can follow her @stayreddy on Twitter) pointed out their Trophy shade. 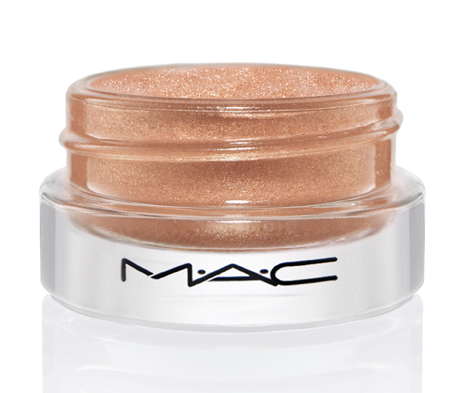 These gel eyeshadows are extremely sheer, which is why I initially didn’t like them. Ashleigh swept the Trophy’s champagne-pink shade on my hand and said to use it on my cheek bones and T Zone for a highlight, and my eyes lit up. It’s now an everyday staple for me. I adore dabbing it on brides’ collarbones and cheek bones for a subtle and long-wearing highlight that truly looks lovely in photos. 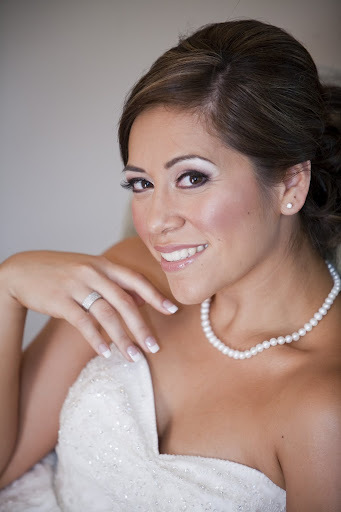 One of the most enthusiastic and genuinely happy brides I’ve ever had the pleasure of working on, Stephanie Nunez, married her long time love, Andy Faucett, last summer in Lodi, Calif. They had an outdoor wedding ceremony and held their reception in a winery barn. 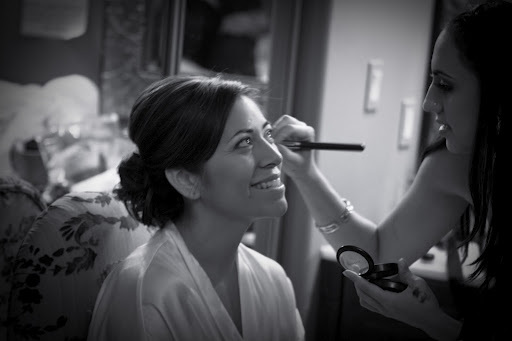 I was honored to be the makeup artist for her entire wedding party. I call this look, “Old Hollywood Latina Glam”!